This book offers a consciously eclectic approach to the rich history of Pennsylvania in the period from 1740 to 1950. 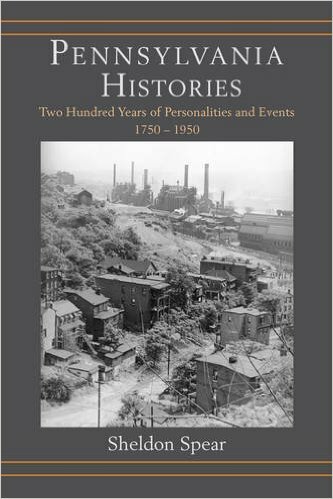 Combining original research with syntheses of relevant work by other historians, Pennsylvania Histories seeks to appeal to both professional historians and general readers by presenting a range of significant individuals, groups, and events that are likely to be less familiar to audiences interested in the history of Pennsylvania. The Moravians, for example, emerge as a denomination whose involvement in proselytization activities sets them apart from the quietism of the Amish and other well-known sects. Although the book concentrates on Pennsylvania, the subject matter is also germane to wider issues in the areas of economics, race and ethnicity, religion, and gender studies. Among the many topics discussed, Pennsylvania Histories considers the French and British refugees who settled near the Susquehanna River during the late eighteenth century, the burning of the town of Chambersburg by Confederate raiders in 1864, and the semi-public executions in Pennsylvania towns that persisted into the early twentieth century.